Finally... it's Spring; have you got your wardrobe ready? You could be forgiven for thinking that it's still the middle of winter but the official start of British Springtime has arrived! 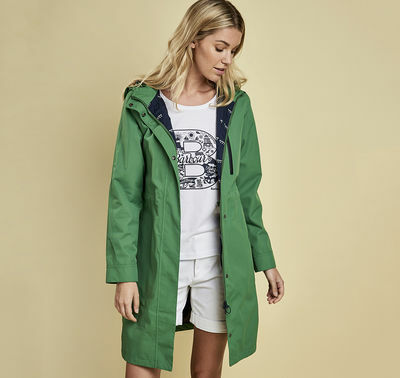 It looks like we could still be in for a lot more rain and wind, so take a look at these Waterproof jackets from Barbour, all of which are designed to combat the weather this transitional weather period. This is a waterproof design with an elegant long length, designed to give the wearer a look of pure sophistication. It's lightweight and has a comfortable regular fit which can be adjusted using the inner drawcord at the waist. 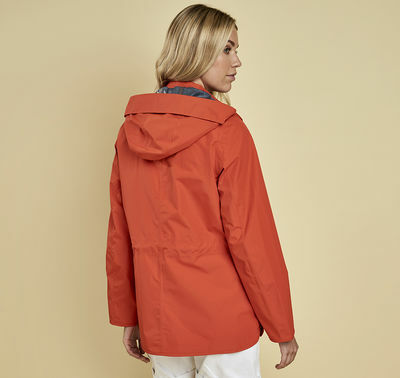 Practical features include a grown-on hood, super-deep welt pockets and a curved, studded side hem while aesthetic perfection is delivered via embroidery and contrasting matt trims. Available in two colours (Mist for a subtle, versatile look and Signal Orange for those of you who like to be noticed! ), the Barometer waterproof jacket is of medium length and has a breathable outer, combining cosiness and comfort. The hood is detachable just in case the sun makes an appearance and the curved side hem creates the most flattering silhouette imaginable. Stash your valuables safe and dry in the patch pockets and off you go! Though lightweight and with enhanced breathability thanks to a mesh lining, the Medway jacket is designed to deliver the ultimate defence against the weather. It features handwarmer pockets and raglan sleeves; the latter ensures that there is plenty of room for layering beneath. The jacket, which has a fixed hood, is infinitely adjustable, with drawcord, toggles and innovative studded cuff adjusters. Aesthetic features include tonal embroidery and signature Barbour branding. 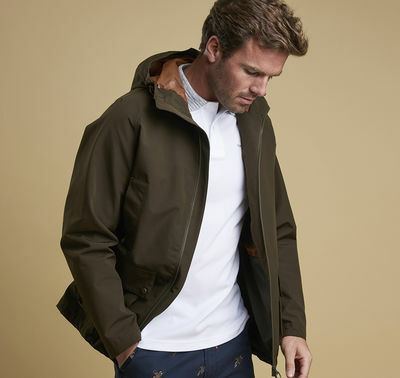 Don't let the weather keep you indoors this Spring; enjoy the best protection from Barbour, with their new Spring Summer collection now available at Ken Varey Town and Country Wear. Check out the full range in-store and online.